The word ‘school‘ brings back all the beautiful memories of my childhood. My classroom, my friends, my lovely teachers even my favorite desk, all this holds a very special place in my heart and memories. However, what I don’t remember is my ‘first-day’ of preschool. My mom tells me that I started going to school when I turned 2, which is quite amazing to know since back in time there were not many playschools. My parents also told me how they left me with the class teacher on the first day and spent the whole day waiting outside the school, in case they had to pick me up early. All this seems so scary since there was no provision of CCTV or mobile phones for parents to get in touch with the school authorities in case of an emergency. Well, that’s about a long time ago, now the times have changed. And with changing times the issues and problems have changed too. Nemit started his preschool from March this year. He’s a 2-year old happy kid and is quite social among the peers. Although, little did we know that this new phase will bring a lot of tears and hard times for all of us. Before getting him enrolled in the school, we were quite sure that Nemit will easily adjust to the new environment and will soon make new friends outside his comfort zone. But, we were wrong! It took us almost 3 weeks to completely settle down and adjust in the new place. 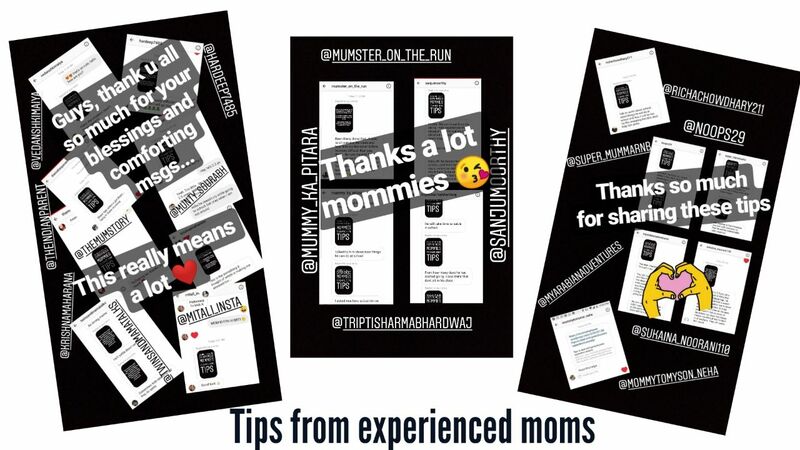 Today, I am going to share a few mommy tips from my experience and learning, for you all to make this transition smooth and easy for your kids with little or no tears at all. 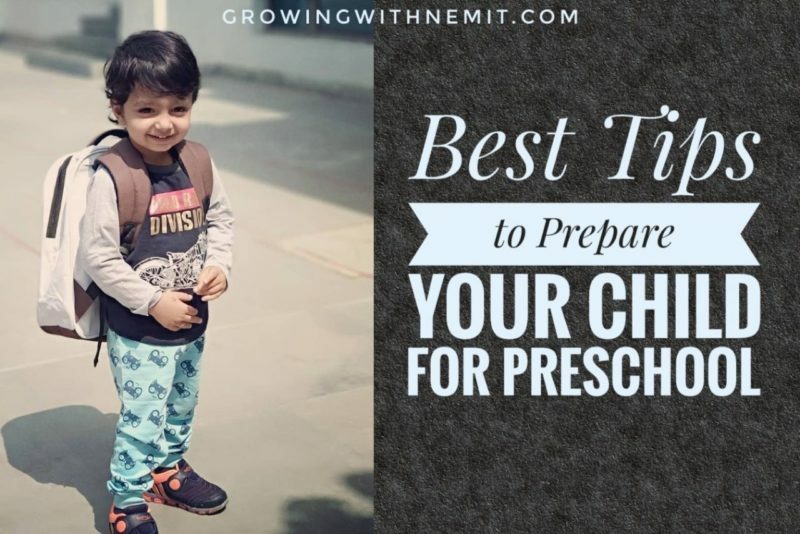 This time period when you are planning to send your little one to a preschool plays a very crucial role. I would suggest you talk about school and related things with your kiddo at least 15 days prior to starting school. Don’t just talk about school and the teachers as that will make no sense to him/her. Instead, introduce the concept of schooling as a whole. Below are the 10 best tips to introduce the concept to your child in an easy and fun manner. This is one of the best ways to instigate the concept of school to your child. Read a story with pictures. Point at the classroom, kids and the teachers in the book, and ask your kid open-ended questions. Let him/her grasp what the story is all about. Introduce new words one at a time, speak about new friends and fun activities. Make it a routine to read a story related to school every alternate day till your kid starts the preschool. You may also want to read Best ways to boost your child’s brain development! This is a good approach to tell your kid about starting preschool. While doing the morning activities, you can ask your kid if he wants to go to school, make it sound exciting. You can have general conversations, like pointing at other kids going to school, you can tell him/her, “see, these kids are going to school, one day you will also take a bag and go, it will be so much fun”. Our aim is to develop an interest in kids for school. This is a fun way of doing things which seem difficult to understand. Ask your kiddo if he/she wants to play ‘school’. You can plan activities accordingly, in between games and activities, you can introduce snack time and outdoor play time. 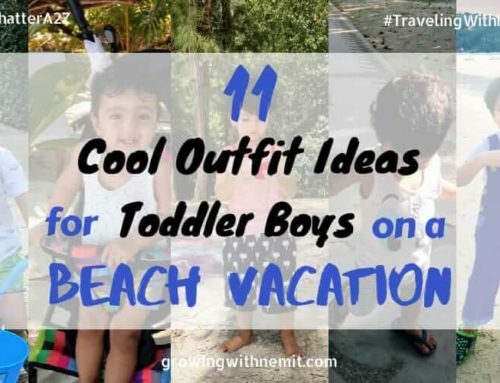 Think creatively and I am sure, you mommies can come up with some amazing ideas to make it exciting for your child. If your child likes to hear or watch rhymes then this is a great option for you. You can enact the song and ask your kid to copy your actions. Again a fun way to prepare the child for school. You may also want to read Is screen time educational or distracting? You can consider this as a secondary option. If you can find someone among your neighbors or friends whose kid is also going to the same school or will be joining the same school, you can plan meetups or play dates with them. It will be a bit easier for kids to adjust to the new environment if they have known faces around. Lastly, shop together for school supplies. This is again a fun and engaging way to make kids adapt to the new phase. Once your kids get hold of the idea that they will be going to school very soon, you can ask them to pick up their favorites, school bag, lunch box, water bottle, outfits etc. Trust me if you have reached till this point, this transition will be full of excitement. Below is an Instagram pic of Nemit’s first day of preschool while dropping him off. How would you like to remember your little munchkin’s first day of school? Excitement, happiness, and lots of smiles isn’t? So, leave the worry, doubt, and anxiety outside the school premises. Take lots of pictures of your sweetheart, entering the school gate, running on the playground, exploring the new faces, capture their expressions, these will be your memories for life. And by this I mean, don’t expect your child to go running towards the classroom or mingling excitedly with the other kids and the school staff. Whatever you have been telling your kid about school was theoretical, give them a day or two to get accustomed to their surroundings. Almost every child cries on the first day of school, some cry because they feel confused looking at other crying kids. So, consider this as normal and don’t panic. Now, be it the first day of school or the 10th day, always remember to keep the goodbyes short. This will help in reducing the separation anxiety. In very simple words, separation anxiety can be defined as ‘a child’s fear associated with his/her separation from a parent or a guardian’. While dropping off your kids at the school, tell them that you will be picking them after 2 hours or 3 hours. Make a routine to follow every day. Like you can start with wishing a good morning to the teachers who are present around and ask your child to do the same. Say a happy goodbye to your kiddo and leave. Let the teacher take over at this point, and trust them for your own peace of mind. You may also want to read about Breath-holding spells in kids! The day doesn’t end here, when you pick up your child from the school, hug them and ask how are they? How was their day? Appreciate their feelings, even if they start crying on seeing you. That’s Ok. Never ever tell a child that it’s not good to cry. Talk to them more. Also, make sure that you encourage your child to tell you about their day. Ask them what did they do at the school? Which activities did they like? How many friends they made? Anything and everything. It is totally in your hands to build their enthusiasm and keep it going! 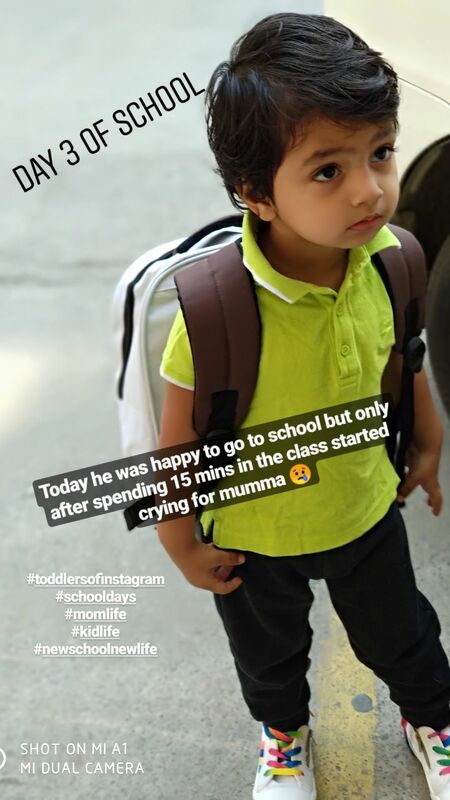 Every child cries on their first day of school or even for next few days too. But, if the crying is continuous and for more than 45 mins, intervene and call the child out of the class and calm him down. If the crying continues even after 4 weeks of following the routine, try to find out the exact reason. As continuous and prolonged crying is not good and that will hamper their development. You can take a break for a week or two and initiate the whole process again starting from the home. Or you can talk to the class teacher for giving some extra attention to the child. It’s good to offer kids their own space when they are upset, however, understanding when to step in is equally important. Dr. Patrick J McGrath, a clinical psychologist, and a researcher say that keeping the goodbyes short and not responding to your child’s cries, makes them psychologically strong. 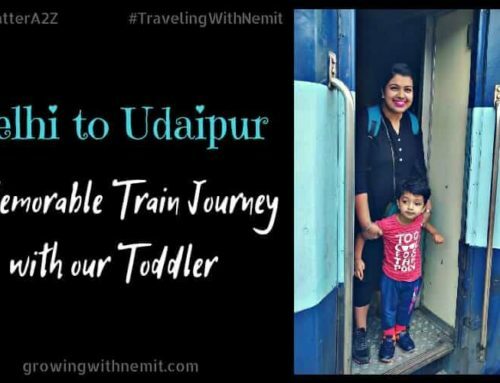 When Nemit started his preschool last month, it was a really difficult time for us. It took us around 3 weeks to make him feel comfortable in the school. I want to thank all the experienced mommies who shared their tips with me and helped me come out of this difficult time. 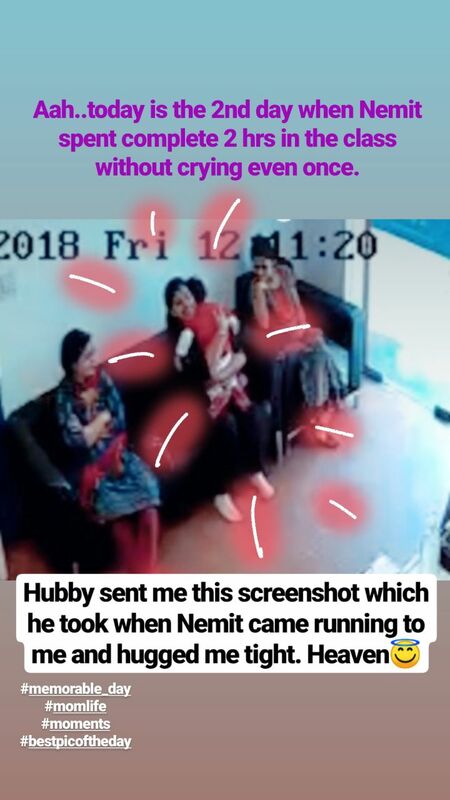 It was around the 2nd week when we started following the above-mentioned tips and saw a drastic change in Nemit’s behavior. You can follow me on INSTAGRAM to see our daily school stories and other posts where I share my parenting experiences. In the end, I want to mention that each kid is different and have different ways of responding to particular situations. Don’t expect them to behave in a certain manner because all other kids are doing so, that will leave them perplexed & confused. I hope you liked this post. Do share it with other parents, your friends, and family. And if you have any other tips or suggestions, do share with me and I will add them to the post. I really appreciate if you leave some words of encouragement or any feedback in the comments below. Thanks, everyone. Take care. Happy Parenting! Lovely, these were the same emotions I felt a year back and wrote a similar post on separation anxiety and how to deal with. To have familiarity is what i rate the most! well, its never easy as they step into a new releam, but they do settle down and do well. thanks for the great read. 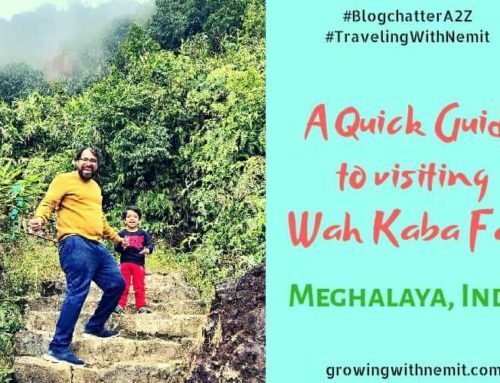 what a beautiful blog!! i absolutely loved reading through. 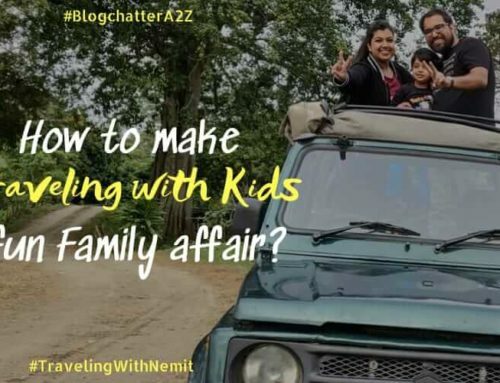 I have been following your stories on Instagram and I know what a ride it has been settling nemit in class. i’m glad you could pull it together and compile this for the rest of us. That’s a informative post for all the parents for their kids.. These are really helpful tips.. 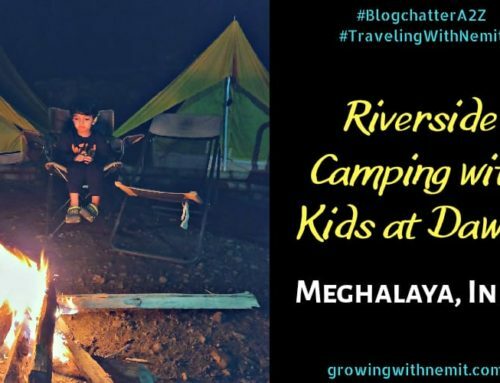 These posts help us mothers also settle our own feelings when our kids take time to settle into a new environment. Excellent post with very sensible pointers. These are some amazing tips especially gor me as soon my son will be going to the school. Thanks for sharing. I have faced the same..I also thought my kid would not cry but I was wrong too. He cried 2 months..it was the news for our neighbours that my son is going to school. He was 2.5 yrs old when we sent him to preschool. First, he was very excited but started crying after spending 20 mints in the class room. My kid was super happy to join her preschool from the very first day! She was happy with the teachers and friends there. Now comes the real school!!! I’m saving all these tips and will make sure I do my best. Loved the post! Preparing child for school is very important! And also preparing ourselves for the change! My son had separation anxieties when he started preschool. That’s because he is the only child and we have our families abroad. He had not spent time away from me even for an hour. However pre school staff supported us so well that he settled quickly. Great post! I also started preschool early and I still remember my mama dropping me there. My son will be going to school now and he is excited to move to next level. Well my mom told me that I never cried while going to school because she used to take me along with her to get school supplies. I will surely follow these steps when my kids would go to school. This post was an interesting read for me and some really good tips to prepare child for school days . You did it brilliantly with proper Approach to introduce school environment and plan Engaging activities. My daughter is reaching the age where she can start going to preschool, but she’s extremely shy and I’m worried about sending her away. Your article had some great tips for dealing with preschool separation anxiety, and I liked how you said to role play school with you child before hand so they know what to expect and can have a bit of a rehearsal. Thanks for the help; I’ll keep this in mind when taking my daughter to her first day of preschool.